One night in April 2014, members of the terrorist organization Boko Haram raided the small town of Chibok in northeast Nigeria and abducted 276 young girls from the local boarding school. The event caused massive, international outrage. Using the hashtag 'Bring Back Our Girls,' politicians, activists, and celebrities from all around the world-among them First Lady Michelle Obama and Nobel Peace Prize winner Malala Yousafzai-protested. Some of the girls were able to escape and award winning journalist Wolfgang Bauer spent several weeks with them as they recounted their ordeal. In Stolen Girls, he gives voice to these girls, allowing them to speak for themselves-about their lives before the abduction, about the horrors during their captivity, and their dreams of a better future. 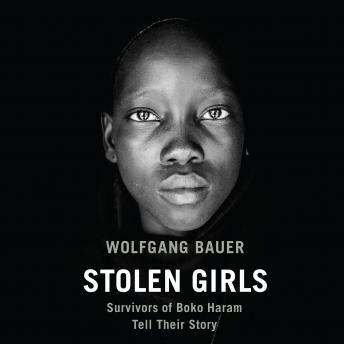 Bauer's reportage is complemented by over a dozen stunning portraits by award winning photographer Andy Spyra. Bauer also examines the historical and political background of the Islamist terror in the heart of Africa, showing how Boko Haram works and describing the damage it has done to the fragile balance of ethnicities and cultures in one of the world's most diverse regions.